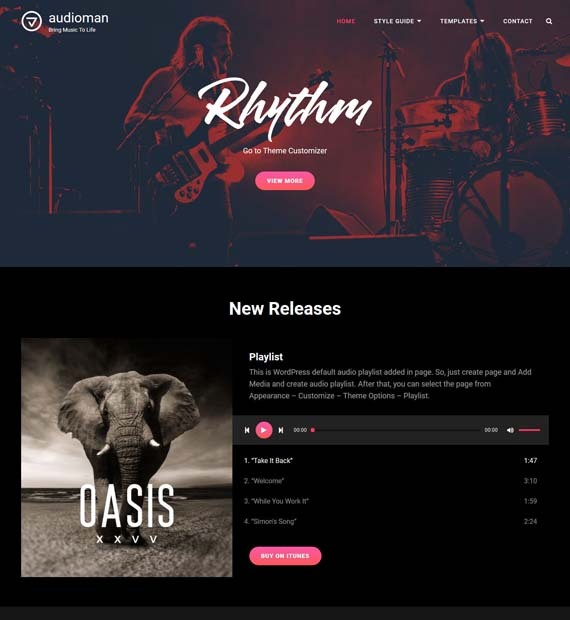 Audioman is a modern WordPress theme designed specifically for musicians aiming to promote themselves through the internet. This free theme is completely responsive so that your site will look and feel fantastic across all devices. With a ton of features, including header media, featured slider, featured content, playlist, portfolio, and testimonials just to name a few, Audioman allows you to build a complete website. On top of that, Audioman is also translation ready, with RTL language support.